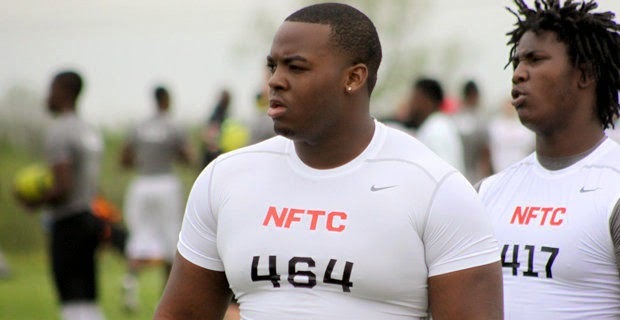 Shirts With Random Triangles: Alabama adds high school defensive tackle T.D. Morton to its 2015 recruiting class. Alabama adds high school defensive tackle T.D. Morton to its 2015 recruiting class. T.D. Morton. Photo via al.com. Alabama has added an 18th member to its 2015 recruiting class. Shreveport, La. high school rising senior defensive tackle T.D. Morton committed to the Crimson Tide on Monday. Morton made the announcement naturally, via Twitter. Morton attends Woodlawn High School in Shreveport, La. He stands 6'2.5, and weighs 310 pounds. He is graded as a three-star DT by Rivals.com, which ranks him as the 33rd best DT in the U.S.